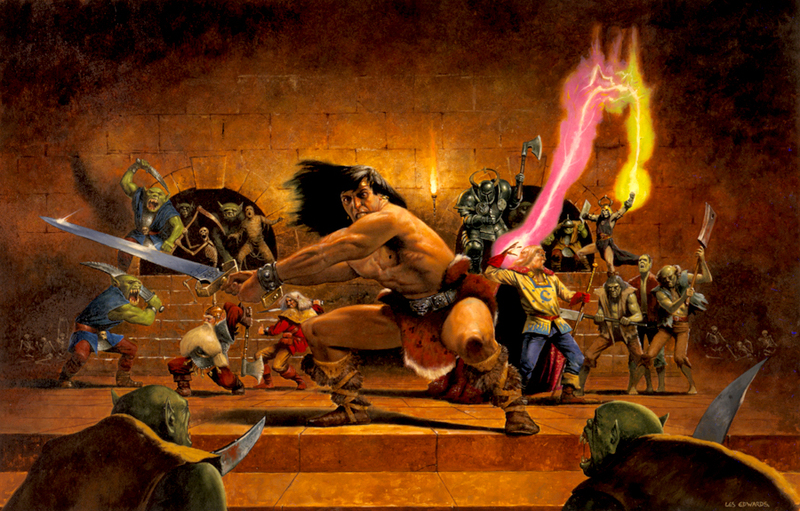 Dungeons and Dragons is a fantastic game that you should share with all your friends. Even the ones who’ve never played an RPG before. Especially them–here’s how you can help get them into the game. 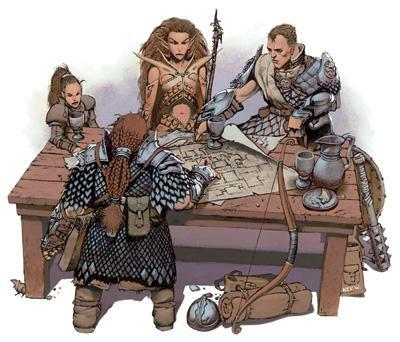 There’s a lot of things that Dungeons and Dragons is–creative, fun, social, but easy-to-pick-up isn’t necessarily one of them. Easier than plenty of games out there, I’m looking at you, Anima, but if you’ve never played a roleplaying game before, it can be tricky to get in. Even if you’re used to board games, there’s still a lot that goes in to getting to that first session of D&D. It’s why so many people advocate a Session Zero. If you’re unfamiliar with the term, it’s the session where everyone gets together and talks about the kind of game they want to play, and usually create characters together as a party to ensure that everyone knows each other instead of being a bunch of random murderhobos who try and kill each other until the DM forces them to be together. But if you’ve never played D&D, even Session Zero has a lot to quickly try and pick up. You might not even know what a murderhobo is and why that’s not something that’s as big a deal as it sounds. Look we mostly only murder goblins and orcs and the occasional gazebo, what’s the big deal? And of course, giving credit where credit is due, D&D isn’t hard. Sure there’s math, but it’s not difficult–it is kind of obtuse though. 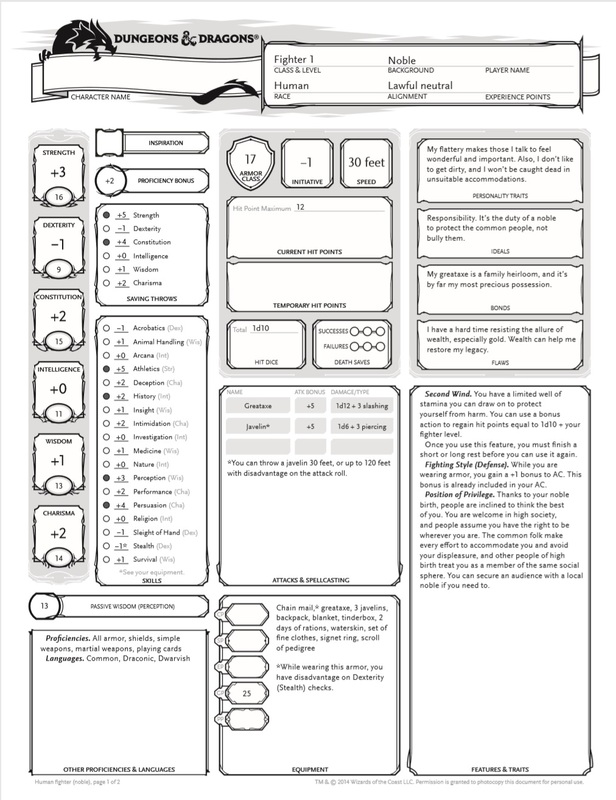 To try and show you what I mean, here’s a look at one of the character sheets out of the Starter Set, the D&D Box that’s meant to get new people into the game. There’s so much going on here that, if you’ve never played D&D before, and especially if you’ve never played any kind of RPG, that’s meaningless. 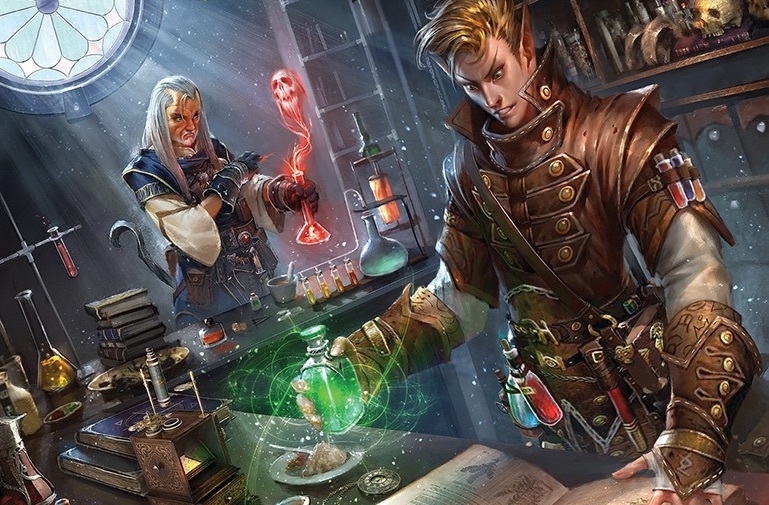 If you’ve ever played in a game that’s a mix of new players and vets, you’ll doubtless be familiar with the sort of half-panicked, half-blank stare on the n00blets as they look over their character sheets and try and muscle their way through. So many different numbers, each with a very idiosyncratic place in the game. The ones you need to pay attention to are the ones with the + or – but then when are you going to use them, and how, and so on–it’s a lot to take in. And that’s before factoring in other things like Armor Class, Hit Points, Hit Dice, and so on. 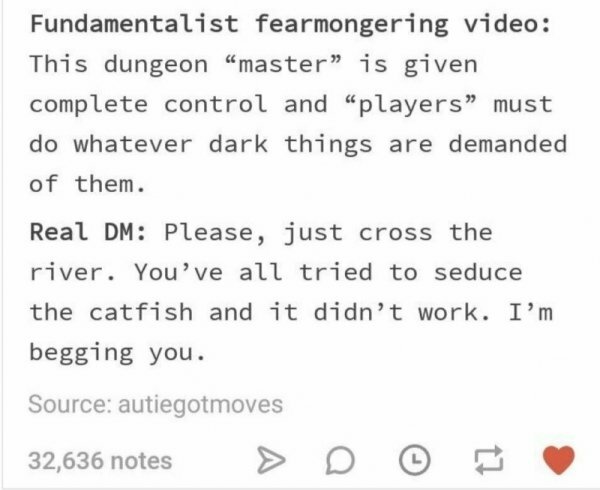 That’s where the Tutorial Level comes in. Taking a cue from video games, the Tutorial Level gets you right in and playing the game without overwhelming you with everything. It’s tricky because the best video game tutorial levels don’t hold your hand and explain everything to you, leaving you to figure it out for yourself. But with a tabletop game, where the “game engine” is the poor overworked Dungeon Master who is just trying to get you to cross a River instead of seducing the Catfish, you need that dialogue about how to actually make everything work. So we’ve put together a Tutorial Level of sorts to slowly introduce players to the core mechanics of the game. Everything from skill checks to combat, to actually exploring a dungeon, all without needing a character sheet. So to start with here’s what we need for our Tutorial Level: a few dice (enough d20s for everyone at your table to have at least one), some paper for scribbling down notes, and every DM’s best friend: the +2 modifier to a dice roll. Stolen straight out of the DM’s guide, and then modified a little. For our Tutorial Adventure, we’re going to be using +1 to +3. Once you have all that, you’re ready to begin. You don’t need to know the character’s classes, races, ACs or anything else what would fill out a character sheet (yet). That can all come in after the tutorial has given your players a chance to see how the game plays, and given them some context for understanding what the different classes actually do, and how different parts of the game play. Following rumors that goblins have been spotted in the nearby woods, Captain Valendra has rounded up a few hale and hearty folks to go scout the woods and see if it’s anything that should be worrying. Just a simple scouting mission; a quick patrol that should be no trouble at all. The NPC Captain leads the players out of the town and into the woods on a mission to scout the surrounding terrain. This is where you start introducing player characters to the various concepts in D&D. Start with something simple. Start with a Skill Check. Skill Checks introduce players to the basic building blocks of D&D: roll a d20 and add a number, then compare it to a target number, see if you succeed. If you want to interact with the world it doesn’t get any more basic than that. And a Skill Check is that interaction in its purest form. You don’t need anything else–combat brings with it the need for initiative, hit points, and so on–but Skill Checks can exist in a mechanics vacuum and still get the job done. So have your players make a Perception Check as they come to a clearing in the woods to see if they notice anything. Explain that a Skill Check is rolling a d20 and adding a number for it. And for now, if it’s something they think their character is good at, add +1, +2, or +3 depending on how good they think they are. If the players succeed, they find signs of goblins. Small nicks on the trees, rusted equipment discarded, etc. If not, the Captain can point it out. Either way, everyone should be on their guard. As the players continue out in search of the goblins, the Captain points out a darkened copse of trees. The Captain informs the players that some of these plants are useful and asks if any of them know how/why. This is a great time to have players make a Knowledge Nature/Survival check–and another opportunity to get players thinking about their characters. The other thing we’re secretly working in here is getting players in the habit of considering their characters. We want them thinking “am I good at this?” “What is my character like?” Now you may have some natural born roleplayers, or you might not–but either way this gets them at least a little in their characters’ heads. The other thing this check does is set us up for later. Success on this check lets the players know that the plants the Captain is talking about can be used as an antidote for certain poisons–this will matter because after the players fight the goblins, we’re going to poison the Captain and leave the players to go out in search of what they need. 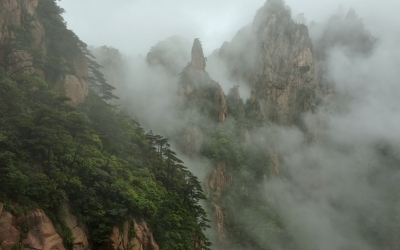 Speaking of encounters though–once you see that your players are getting comfortable with rolling the dice and adding a number, it’s time for our first encounter. You’re going to want to pick out a beast. Something scary enough to be worth fighting lumbers out of the woods and into the path of the players. The Captain readies her spear and tells the characters to draw their weapons, it’s time to try and fight this thing–all they have to do is scare it off. For my tutorial levels, I like to pull out something like a Giant Spider or Lizard–something that seems a little out of place for the terrain we’re in (so that later, when the players find their first dungeon, they’ll have that moment where they put the pieces together). Get everyone used to rolling initiative–tell them to roll the dice and that determines their turn order. Start at 20 and count down. Turn by turn go through and see what everyone wants to do. If they want to attack, walk them through it–roll a d20, add a modifier, then roll for damage–this might be the first time they use one of their non d20 dice. A few attacks is all it takes to drive the beast off. But the seeds are already sown for the next encounter, some time later. Have the players travel a little further from where they are. The Captain should ask a player to scale a tree on occasion, letting you teach players about alternate methods of movement. Have them make an Athletics check–and again, the goal isn’t really for them to fail, just to get used to interacting with the world. Once a player has climbed a tree, they can spot smoke on the horizon–a goblin raid no doubt. The party can rush off towards the smoke and along the way they’ll get ambushed by Goblins. 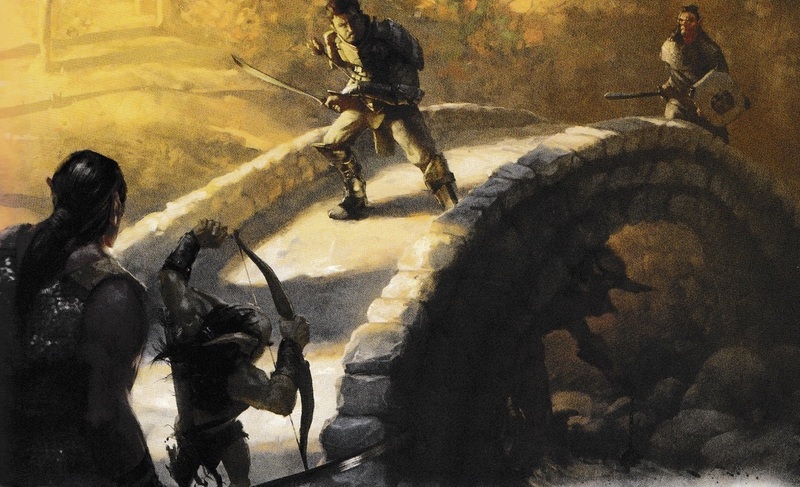 Again, give them a chance to see the hidden goblins–but at this point, they should be familiar enough that you can run a combat without having to walk them through every step. The goblins are cowardly but numerous. I recommend number of players in the party +2, just to make them feel a little outnumbered. Have a few positioned up in some trees with shortbows to give characters a chance to use some of their newfound mobility. 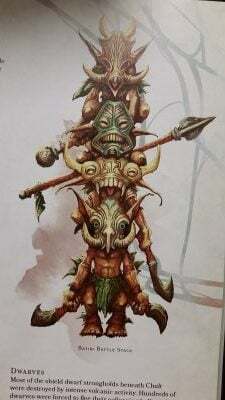 Once the goblins start to lose some of their numbers, they’ll retreat. By the end of the fight though, the Captain has been shot. Some of the other players might be injured during the fight as well, which is the perfect segue into a Medicine check and our first Short Rest. Once the dust from the fight has settled, have the players make a medicine check to pull a goblin arrow out of the Captain’s shoulder. Any other players can try and patch up their injuries, and this is the perfect time to explain a Rest–an hour break to recover from combat, patch up wounds, and so on. Have everyone roll a d8 and see how much damage they heal–again we aren’t actually keeping track of real hit points or hit dice yet because they don’t matter, we’re learning the game. After the short rest, on the way back to town the Captain staggers, weakened by poison on the arrow. This is where the players have their first real bit of agency. 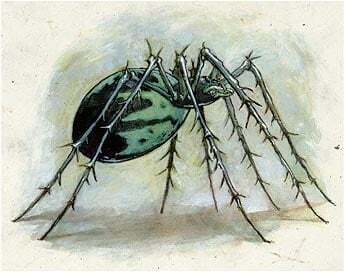 They’ve done most of the things in the game now, and have enough tools to know that they can find an antidote to poison in some of the plants nearby. Clever players will recall the plants the Captain mentioned earlier. Otherwise, some prompting might remind them that what they need is in these woods. The party might split up, wanting to leave someone with the Captain, or they’ll all go off in search of the antidote. While searching (taking a few easy survival checks to find the herb they need), they also stumble across the entrance to their first dungeon. An old stone door, or a passage leading deep underground–basically set up a larger adventure, give them a reason to come back on their own.